Brisbane Roar defender Jack Hingert will miss the rest of the A-League season after rupturing the ACL in his right knee against Sydney on Friday. 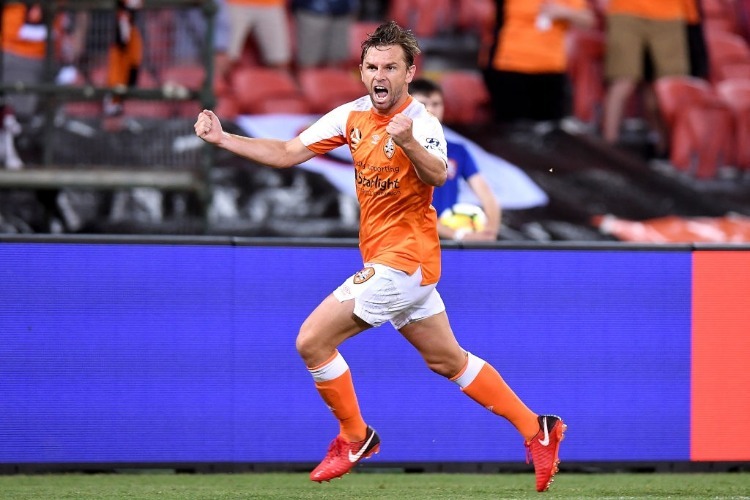 Hingert suffered the injury in the first half of Friday's 2-1 win over Sydney FC at Suncorp Stadium, just the Roar's second win of a disappointing campaign. The 28-year-old will undergo surgery this week and joins Brett Holman (knee), Connor O'Toole (broken leg) and Stefan Mauk (groin) on the Roar's long-term injury list. "Absolutely devastated I won't be able to continue fighting on the pitch with the rest of the lads this season," Hingert wrote on Twitter. "It's going to be a long few months but I'll be back." Fellow defender Luke DeVere is a chance to return for next weekend's trip to Perth after also injuring a knee in the win over the Sky Blues. The ex-Socceroo limped off after 10 minutes on Friday night but an initial assessment is positive and the 29-year-old could yet face the Glory on Saturday. The Roar will definitely be without midfielder Alex Lopez after the Spaniard picked up his fifth booking of the season against Sydney. Dane Ingham and Daniel Bowles are both available after serving one-game bans against the Sky Blues while the Roar are hoping an appeal to reduce the three-game ban against Jamie Young is upheld this week to make the goalkeeper available to face the Glory.